Let's dive a little deeper into why this coat is so dang expensive, aside from the fact that it's Fendi Couture. So, for starters, this floor-length fur coat is made from Sable fur. Sables are little ferret-like creatures that are native to Russia and their pelts have been used for centuries (Henry VIII was a fan) because they're apparently super soft. Sables aren't a rare or endangered species by any means, but rather, it takes 60-70 Sables to create one coat, so it's the quantity needed that really jacks up the cost. 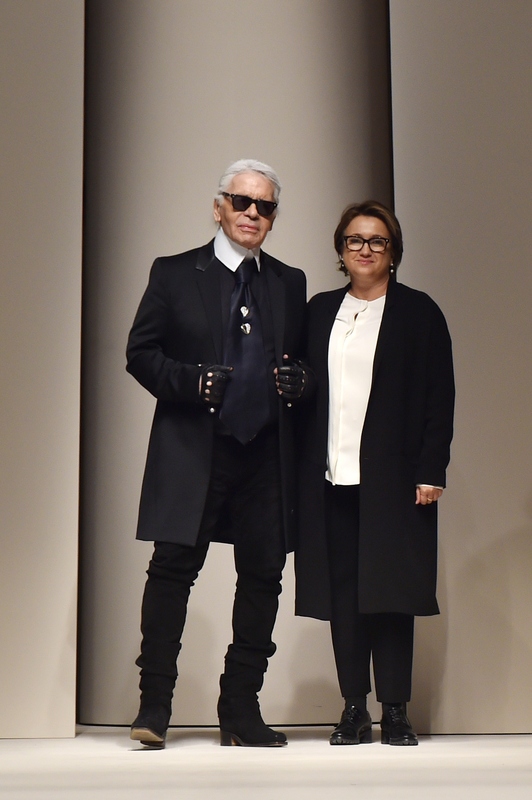 But Lagerfeld couldn't just make a plain Sable-fur coat—it's a luxury brand after all and a six-figure coat just isn't good enough. So he decided to dye the jacket with actual silver to give the coat “a unique and contemporary luminous metallic effect to the fur, while maintaining its softness.” Definitely necessary. This Fendi jacket can be added to the list of "most expensive clothing items of all time" along with these ridiculously expensive luxury goods that no one should be buying. Buy a house instead. Pay my rent for life. Donate to charity. Buy literally anything else. 1. This Prada Coat from Fall 2013. Cost: $140,240. This Prada coat looks tame in comparison to Fendi's new creation. 2. The Victoria's Secret 2013 Fantasy Bra. Cost: $10 million. At least people can't really buy this bra. It's just for show. The worst part is that it sold out in record time and also that they released an even more expensive version this year. 4. Hermes' 2012 Gold and Diamond Birkin Bag. Cost: $1.9 million. Apparently this Hermes Birkin took two years to make. 5. Zac Posen's 24 Karat Gold Dress. Cost: $1.5 million. Because sometimes you just really need a 24K gold dress to use in a Magnum Gold advertisement.